Be sure to hire a home inspector in Birmingham with the experience and training to identify both obvious plumbing problems as well as less apparent issues that demand immediate correction or may cause major headaches down the road, from serious leaks that could harm cabinets and drywall to troubles concerning malfunctioning faucets and loose toilets. Your home inspector in Birmingham should put a high priority on performing a thorough visual and operational examination that includes checking interior water supplies and distribution systems; interior drain, waste, and vent systems; water heating equipment; and other plumbing concerns. 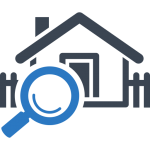 The home inspector should also report on the type of interior plumbing materials, water heating materials, and location of the main water and fuel shut-off valves. A plumbing inspection is just one part of an A-Pro 500-point foundation-to-roof home inspection. To hire a certified local A-Pro home inspector, call (205) 538-2425.